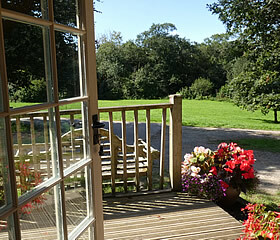 Enjoy a superb bed and breakfast break or a relaxing self catering holiday in Menabilly, one of our two self contained Garden Apartments set in a lovely wooded valley between Looe, Polperro and Fowey. 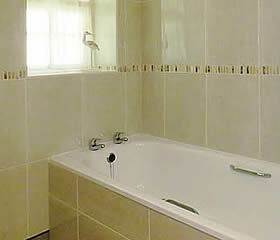 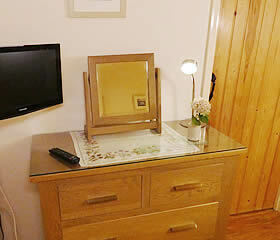 Menabilly is a very comfortable large apartment furnished to a high standard with solid elm wood furniture. 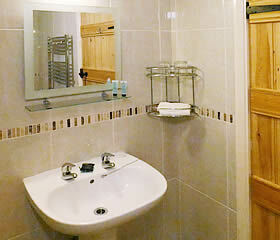 It has level access and superb en-suite facilities making it suitable for all guests including those with mobility issues.